This is a subject that is easy to speculate or debate about when you are chatting with a peaceful mind. We can easily share our opinions as to whether our physical body has its own expiration date which we signed up for before we were born until it becomes personal when out of order death happens in our family. Many have shared that they believed that their loved one somehow knew their time here would be short. Based on the way Amy lived her life, I am not sure if she knew on a conscious level yet may have known on a soul level. Again, the jury is still out as I continue to ponder this soul contract theory. Recently in a tearful conversation with two women who had not lost children, they reminded me that our children are only on loan to us. Based on the way I am grieving Amy, I confess I considered her MINE yet in the same breath I find myself asking God why he stole her back from me. I woke up in the wee hours of this morning and listened to an audio interview about grief. Grief is not acceptable outside the confines of our hearts as it makes others uncomfortable. Grief is lonely and misunderstood. Hurry up and have a nice day! Yet who promised us that we would not have to live in the valley of despair during the course our life and that we would get to keep our children and siblings until they had a chance to live out their entire lives. We always pray and beg God to insure our children and loved one’s safety, but do any of us really believe we would ever be living in a world without them here? Let me raise my hand and be the first to admit I never ever seriously pondered losing a child. And regardless of whether immunity from the valley of despair was never promised, I was never prepared to live in the dark lonely valley. People who are blessed to have all of their siblings and children here say the darnedest things. Their opinion and advice is so abstract. Let’s face it, by now we know they haven’t a clue how we feel yet does that mean we should resent them for their blessed ignorance? I admit I still struggle with this occasionally, but not in the same way I did two years ago. As more time goes by, I am convinced the clueless ones speak from a place of speculation and have no real knowledge. Oh how I would love to change places with them. What I have learned almost three years later is now that I am able to disagree with them when they throw a platitude at me, their opinions no longer recycle in my heart or rent too much space in my brain. That is not to say I am able to manage every word that is said to me. Time has allowed me better control of what I can and cannot tolerate. 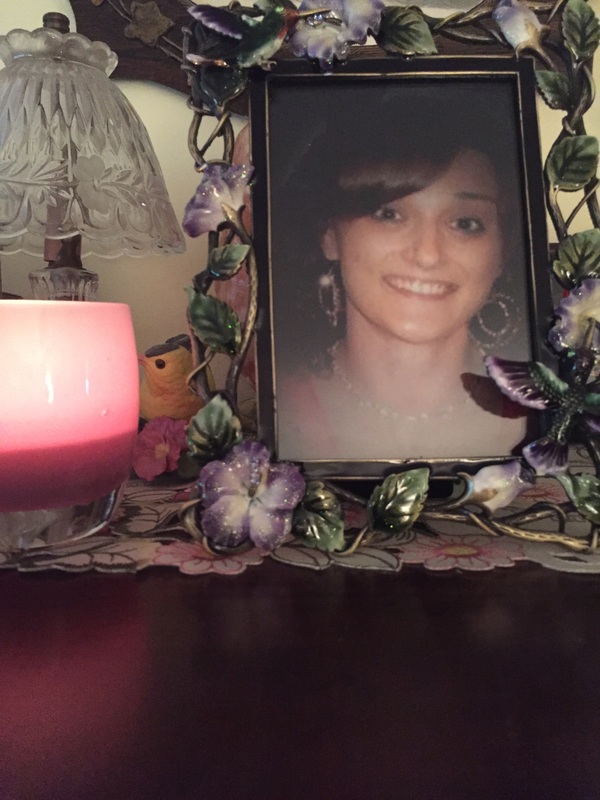 And if there is indeed a life lesson to be learned, I have become the prophet of truth about the real heartfelt ramifications of out of order death and will not just agree with words which are a betrayal to what my daughter’s life here meant to me. It is becoming exceedingly clear that I do not know what to do with the overwhelming grief which has taken over my life. Yada yada yada to what this grief can do to me physically because I cannot imagine that my heart has the power to react any differently than it has after receiving such a shock in an effort to protect my health. This past year I have suffered physically. Just maybe I can blame it on the grief or just maybe it would have been a rough year anyway. All I know is what I thought was heavy grief was my thyroid checking out on me. Severe hypothyroidism which has still not been corrected since my numbers were so off the charts. Should I blame this on Amy? Now I am suffering from excruciating nerve pain from mild to moderate degenerate disks? My core is weak. I am getting older while Amy remains forever 27. She was healthy and fit while I am not. I am exhausted from being me and totally overwhelmed from this chapter of my life. In hindsight, I do not believe I could have grieved any differently than I have and continue to do. Sure, the ramifications from not having a working thyroid have complicated and amplified my grief. Grieving Amy has never been a choice. Did my soul contract sign up for all of this pain? No one has an answer. Its all a bunch of guesses. Maybe some day we will know. Maybe not. As August 4, my personal devastation day, approaches next week, I made a promise to myself that I would not allow that day to retraumatize me. Yet just like my body reacted to the shock of losing Amy, I am finding I have little power over the calendar my heart is keeping. No one will ever convince me I signed up for any of this. Grieving your child is an appropriate reaction. I may grieve forever but I do admit that I long for the day when her death story fades and the beautiful love and life we shared becomes my story even when I am in the valley. Hello, my name is Dee, devastated mother, wife, daughter, sister, aunt and friend who lost a child. I may resemble the family member or friend you were acquainted with prior to August 4, 2013, but look closer, if you dare, into my eyes. As I look back at older photos, there was a twinkle in my green expressive eyes. Or maybe that was a semblance of peace peeking out. Now my tired eyes appear lifeless and my face wears a pained indifferent gaze when captured in an unexpected photo. For whatever reason, I continue to put on make up and do my hair only because it is just what I do. I make a special effort whenever I am seeing my children even though I know I am not fooling them. Who am I almost three years later? I do not know. There is a deep seeded loneliness inside of me as I continue to miss Amy more and more. Amy just knew how to love me well. She accepted me at face value. I miss her adoration and the purpose she added to my life. How do you just happily roll along after losing someone who was so significant in your life? I admit I do not know how. Quitting my job because I could no longer handle the pressure was the worst and best thing I did. Since I am not old enough to collect social security benefits, I am now sort of in the role of a “kept woman” which would have made me chuckle before Devastation Day, but now makes me feel rather sad and depressed. Grateful to my husband for supporting us and blessed that he covers me under his health insurance which made it possible for me to say uncle and quit my job of almost 30 years. I admit that I miss getting up in the morning with that work purpose and also miss so many of the good friends whom I worked with. Unfortunately, out of sight — out of mind — that’s just the way the cookie crumbles, I guess. Initially, it was hurtful as I fell off of their radar but quite frankly I have done little to feed many of those relationships. However, when I needed their support the most, my work family supported me in a way I will never ever forget. And to the co-workers whom evolved to my life friends, I know I am not the Dee you signed up for and for that I am sorry. Your patience and compassion never goes unnoticed. There is a lovely group of women who are folding cranes again this year for Amy’s birthday. Bless each and every one of you! Time has not healed my wounds or helped me to wave my magic wand and forgive everyone who has hurt me along the way since my world as I knew it came to a screeching halt. What I have learned is that not everyone who hurt me did it intentionally and even this broken Dee realizes that now. I am exhausted and disenchanted that I have to be the woman among my family and friends who has to live without one of their children. I resent this cruel twist of fate that has rendered me in a state of mind so different from those who knew me before Devastation Day. I wish I didn’t feel the overwhelming contrast in our worlds and I also wish I knew how to bridge the gap which out of order death has created. No one wants to live feeling inferior among others. That is my problem, not theirs, that I still cannot participate in social events without my heart weeping about who is missing. Living without Amy is an identity changer. I despise my new identity. I am unrecognizable even to myself so I totally understand why others wonder what happened to me. It will take time before I am able to reinvent myself again as mother, wife, daughter, sister, aunt and friend. Until then, please be patient and kind to a woman who has lost her way. It takes more than three years to find yourself after losing a vital piece of your heart and life. When things go wrong, as they sometimes will, when the road you’re trudging seems all uphill, when the funds are low and the debts are high, and you want to smile but you have to sigh, when care is pressing you down a bit, rest if you must but don’t you quit. Life is queer with its twists and turns, as every one of us sometimes learns, and many a fellow turns about, when he might have won had he stuck it out. Don’t give up though the pace seems slow — you may succeed with another blow. Often the goal is nearer than it seems to a faint and faltering man, when he might have captured the victor’s cup, and he learned too late when the night came down, how close he was to the golden crown. Success is failure turned inside out — the silver tint in the clouds of doubt; and you never can tell how close you are, it might be near when it seems afar; so stick to the fight when you’re hardest hit — it’s when things seem worst that you must not quit. When Amy was in 8th grade, she was separated from all of her friends and went through a horrible challenging time. Amy was a late bloomer and rather naive compared to most of the other 8th grade girls. Two girls who professed to be her friends were the definition of the worst bullies anyone could imagine. Separately, they were ok, but together … well suffice to say I shudder thinking that they could now be parents and raising children of their own. So as Amy struggled, the mother monster in me kicked into high gear and I did whatever I could to help her through this terribly challenging year. I bought her the Don’t Quit laminated card and through the years, up until Devastation Day, she carried it in whatever wallet she was using. 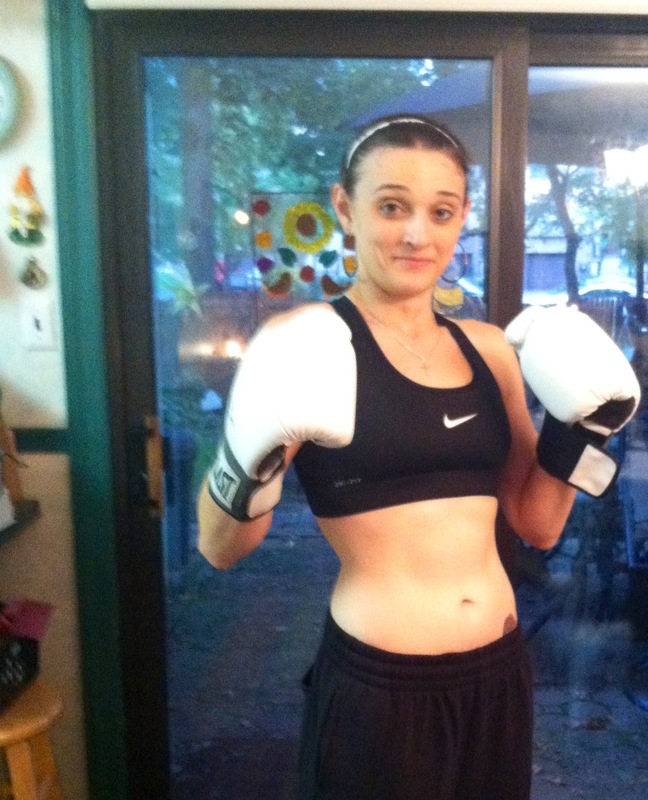 In order to stay fit, Amy joined a boxing gym after her personal trainer at a popular gym kept hitting on her. To say she loved going to this new no-frills boxing gym would be an understatement. The owner of the gym had an amazing attitude and Amy admired him. 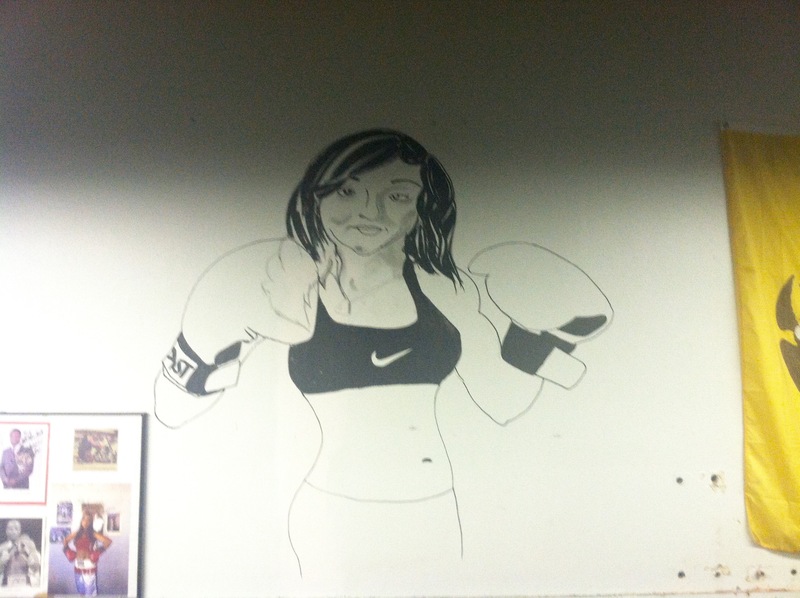 After her sudden passing, he drew this mural on the large wall over looking the boxing ring. The very first time we saw it, he told us he could feel Amy’s presence overlooking the ring watching over them. 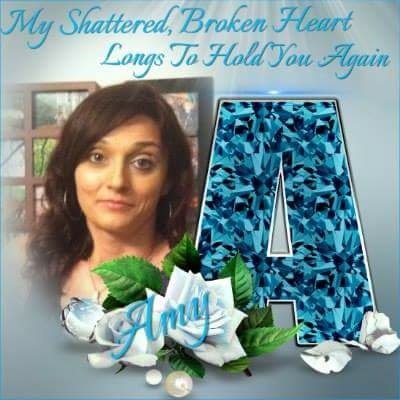 Amy’s friends at the gym were devastated by her sudden passing. 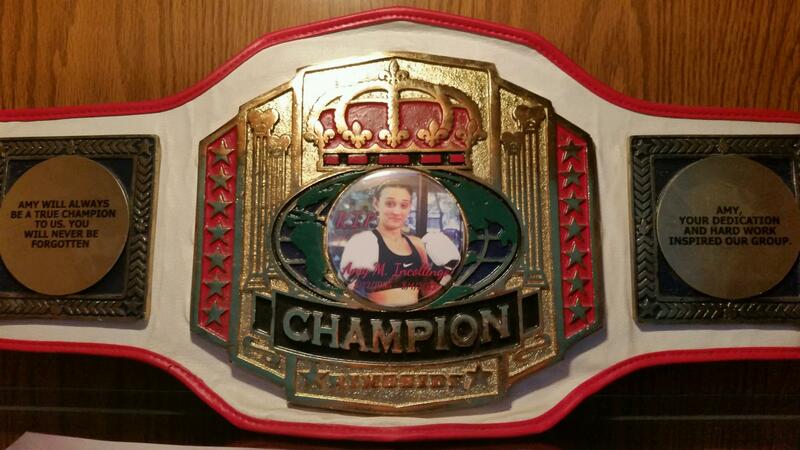 After the graveside ceremony, the owner of the gym presented us with a heavy weight boxing belt donated by a professional boxer with Amy’s photo on it. My son keeps this on display in a lighted bookcase in his house. Amy was the most resilient person I have ever met. She had no ego so she struggled with the many huge egos that she kept encountering. I was always amazed the way she just kept bouncing back. She never quit. Today as I sat crying and feeling totally defeated by the loss of my beautiful, resilient, compassionate child, I felt a gentle nudge to read this poem and take a page out of Amy’s life story. I cannot give up on searching for light on the other side of this seemingly never ending tunnel of darkness and despair. Amy, I am always remembering you with love and will always admire your tenacity and resilience.